Did you read this article in yesterday's Sunday Times? There was a short paragraph about me and the roundabout quizzes which I put up last year. If you are new to this blog, you may want to give them a try. OK. Now we come to Quiz No. 3. I managed to find 10 roundabouts that are no longer in existence in Singapore. Where were they located? This guy is really daring. Came right to the window. And in broad daylight some more. And this is not the first time he is doing this. Good thing; this time we were waiting for him with our camera and caught him in the very act. I bet he didn’t know he was on candid camera. I wonder what is there to see in my children’s study room. Maybe he is just checking to see if there is some privacy in this place. He must have heard from his cousin that this is a good place to set up a home and raise kids. Anyway, I am not complaining. In fact I hope he comes more often and set up home here. And when he does, I promise you better photos this time because at least one photo-fanatic friend of mine wants to get in on the action. This friend actually spent two hours photographing my son’s carnivorous plants. It’s called macro-photography so I learned. And the results were fantastic. Must show you one day. By the way, it’s called a Crimson Sunbird. Let me continue from where Chun See left off in the previous post with a story about how we benefited by "walking all over Singapore" when doing NS in the early 70’s. 1. We could never envisage thriving rural business enterprises all over Singapore that could succeed until we did our defense camp on one of the ridges of Hill 265. Today that location is the Singapore Sports School at Woodlands Drive 15. One thing impressed me about those villagers; their business acumen. Their clients were SAF NS personnel. Many went into the drinks business whilst others did the catering. For those into the drinks business, they either set-up permanent structures (like in this photo) or pedaled their bicycles with crates of Coca-cola and plastic bags/straws. The profit margins must have been very attractive because whenever a SAF detachment arrived, you can find many such stallholders. Some resorted to using their beautiful daughters as "magnets" to attract potential SAF lads, similar to those you see as "Tiger Beer Girls" in today's kopi-tiams. The girls or more likely children looked like they were under 16 years. Of course the village girls did not dress like "TIGER Beer Girls" but their facial beauty was enough to turn on most SAF lads. Imagine a youthful Fann Wong at 16 years of age with two pony-tails would have mesmerized every SAF lad. That girl was none other than what most SAF personnel referred to as the "Marsiling Girl". Unfortunately she was very shy to face my camera and all I have is the back of her body. For those who went into the catering business, their kitchens were turned into frying Bee-Hoon with Mai Ling canned braised pork and canned "Fu Yee". It cost S$2 for a big plate which could feed 4 NS men. We sat at make-shift tables and were served with small porcelain soup bowls and black wooden chop-sticks. The catering business survived because nobody was keen on the SAF Wet Ration which tasted like "Sai" on most occasions because the rice was soggy and the chicken was still raw and still had strands of hair. 2. The other thing I learned was how reservoirs were able to keep the rain water. I had wondered for a long time whether the hydro engineers laid some kind of plastic sheet at the bottom of the reservoir to prevent water seepage. Well I found my answer through our exercises in the deep jungles of the Upper Pierce Reservoir and Bedok Reservoir. Actually, all you needed were huge granite boulders piled in layers until at the very top there was a layer of smaller granite aggregates. During "Exercise Red Beret", we walked to the bottom of the Upper Pierce Reservoir before emerging at Chestnut Avenue Water Pumping Station to continue our journey to Hong Kah. The other exercise was a platoon withdrawal at the Bedok Reservoir. 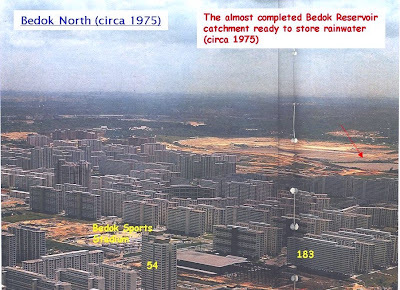 In 1974, Bedok New Town was under construction and Bedok Reservoir had been recently excavated. 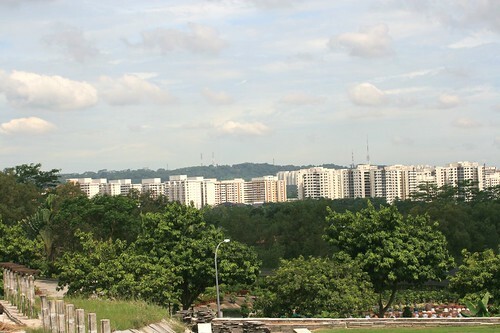 We withdrew from one end of the reservoir near Kaki Bukit to the other end near the "Clearwater Condominium and the Prison Department Sports Club (previously called the Bedok Reformatory Center)". At that time the Bedok Reservoir had not been laid with granite boulders and contained yellow earth. I can tell you that at the center of the reservoir, the depth must be at least 20 meters deep because when the platoon withdrawal exercise ended, we were all puffing and were "dying". The gradient was very steep. Guess who I piggy-backed in full battle orders? Gerard Ee the chairman of NKF Foundation. In his NS days, he weighed more than he does now. Actually, the kampong lasses sold much more than the soft drinks that Peter mentioned. There was also fried bee hoon, fried prawn cake (hea piah – circular shape with strands of bean sprouts, eaten with chilli sauce), fried tau kua (bean curd), hot coffee, and what I remember most, cheap chocolate wafers like the ones in this photo. 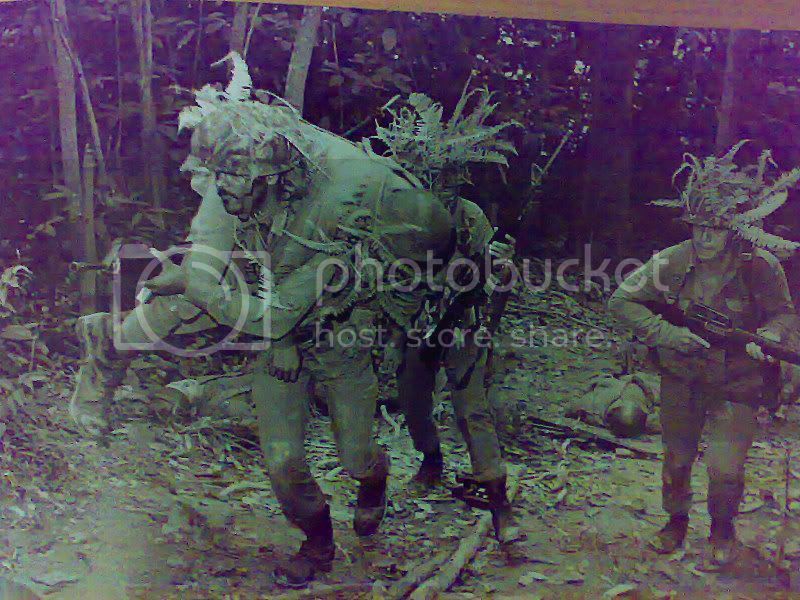 I recall with great fondness, what a welcome sight those girls were to us cold, tired, rain-soaked soldier boys, appearing out of the darkness of the night in Area D, Sungei Gedong, where we did our field fortification exercises. I dedicate this post to all the girls who ‘took care’ of us all those long years ago. I wonder where they are now. I hope some of them, or their children at least, are reading this story. Update: 27 Sep 2000 - This is the photo that Peter and Icemoon are discussing about in the comments section. Today I want to continue from where I left off the last time to blog about an item in that 1969 newspaper clipping my neighbour gave me. There was a small announcement entitled; “Military Exercises this week” which mentioned the times and places where military exercises would be conducted. Of course nowadays, the army no longer carries out training in such public places; but up to the 70’s it was quite commonplace. By that time, the announcement usually carried an extra sentence which warned the public not to be alarmed by the sound of blanks and thunder flashes. In the above announcement, the following places were mentioned: Chua Chu Kang, Marsiling, Jurong and Tuas. As far as I know, there were a number of other areas. Those that I have personally experienced include Hong Kah, Mandai, Neo Tiew Road and Tampines in the east. Because my time was mainly spent in Safti, I experienced a lot of training in the Jurong area. Nowadays, I often fetch my daughter to her classes at the NTU (Nanyang Technological University). Driving along some of the fringe roads, I keep thinking that I must have done a couple of “Enemy on the right … Charge!”s there. That’s because from our training area, we could see the dormitories of Nantah. 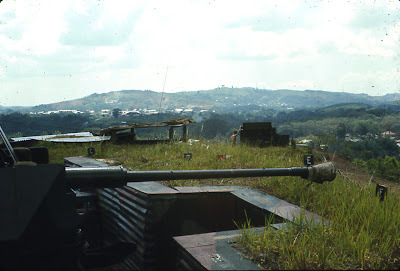 At that time, to access this area, we would get out of Safti via an opening in the fence on a slope at the back of OCS. The young reader may find this a bit difficult to picture, but in those days, all these training areas were very, very different from today. To give you an idea, I show you a sketch of the Hong Kah area from my 1981 street directory. Today this area is all empty land between the PIE and KJE. In those days, it was thriving with life. There were a lot of kampong houses, shops, schools, temples, a community centre and a big Chinese cemetery called Bulim Cemetery. The most prominent landmark was a brick factory with a very tall chimney which could be seen from miles around, including Jurong Road. It was a great boon for us soldier boys because it helped us to orientate our position on the topo map. This is the Green Haven Half Way House in Old Jurong Road. It used to be school in the Hong Kah area (I think). This used to be one of the many tracks that traversed this part of Singapore. 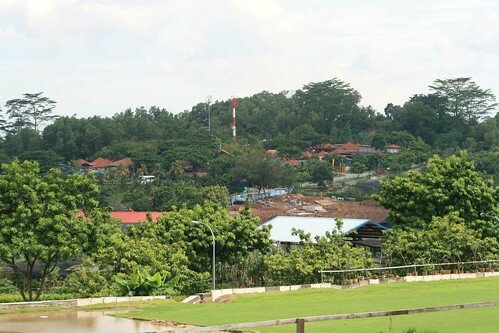 As for the Marsiling area; I remember it had a lot of vegetable farms and the area was very hilly. In my Section Leaders training days, I did lots of topo training here. The most prominent object here was the water pipe line. We were not allowed to follow it because that would make our job too simple ….. but do you think we would be so obedient? I remember one time we started off from a community centre in Jalan Malai in Bukit Panjang. There was a nearby Telecom exchange. The most ‘memorable’ incident as far as Marsiling is concerned was when somebody in our company lost his bayonet. We wasted hours combing the area searching in the bushes, drains, ponds and vegetable plots for the missing bayonet. I cannot recall if it was found in the end. Talking of blanks and thunder flashes, I am reminded of a tragic accident that happened during my time in NS (National Service). In those days, many civilian kids liked to follow the soldiers to pick up spent bullets (plastic blanks) in order to sell as scrap. Often they even ventured into the restricted areas like Area D in the Sungei Gedong area. In this particular accident, which I only learned from the newspapers, a young girl was rushing to pick up the bullets; and in her haste she got in front of a soldier’s rifle and was killed by the flash and hot gases emitting from the barrel. Yes; it’s true; blanks can kill if fired at close range; especially when you hit the vulnerable areas of a young victim. If you have seen the flash emerging from the barrel of the M16 firing blanks at night, you will believe me; especially when set to ‘auto’. I am sure the older guys who have done NS will recall many incidents about doing their military training is such public areas. My friend Peter will share some of his memories the next time. 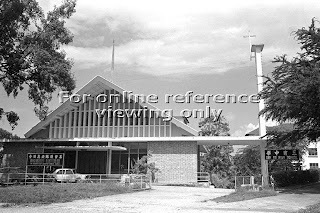 In an earlier post, I showed you a photo by Roger-Hatchy and speculated that the location was near the junction of Jalan Lekar and Lorong Semangka in Chua Chu Kang. Last weekend I went to the spot to try and confirm my theory. Initially I was quite excited because what I saw resembled Roger’s photo. But when I got home and uploaded the photo into my computer and made a comparison, I realized that I was mistaken. 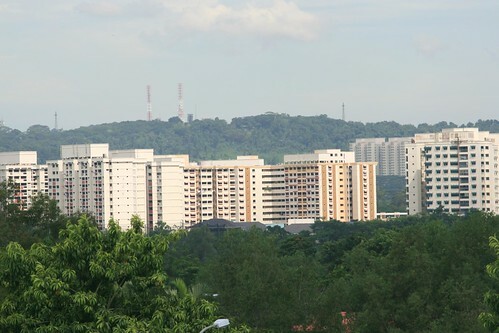 The distance from ‘my location’ to Bukit Gombak was much further than that in Roger’s photo. Anyway, I put up the photos below for your viewing. Photo #1: The place called H Sub taken by Roger Hatchy in 1966. Photo #6: I took my photos from this Landscaping company standing at the left of the photo. The road is Lorong Semangka. I am curious as to what is that tall structure with red and white stripes in the last 2 photos? This blog just turned three! Hey ... I just realized that Good Morning Yesterday has turned 3. How time flies when you are having fun. My first article was posted on 15 Sep 2005. Since then, I have posted 333 articles. That works out to an average of 2.1 articles per week. No bad eh? Of course I couldn’t have done it without some help from Friends of GMY who contributed articles; like John Harper, Brian Mitchell, Tom Brown, Zen, Chuck and others. Special thanks of course to Peter who practically co-owns this blog with his prolific inputs and photos. And then there are the regular kakis and fellow bloggers like Victor and other Friends of Yesterday.sg and some new ones. And also fellow bloggers who linked their blogs to mine. To those who enjoy following this blog, no worries. I have lots more to write about. Only problem is time. Peter's recent post about the buses has triggered a string of comments and inputs from readers - one of them as far as California, about a part of Singapore that figured quite prominently in my secondary school days. As I have written before, I used to study in ACS in Barker Road and commuted daily between Newton Circus and my kampong in Lorong Chuan passing by the Thomson-Balestier junction. Often I would be traveling with my elder brother David and two of classmates who lived in Serangoon Gardens, David Wu and Ong Leong Chye. 1) The area that is now Thomson Medical Centre. What was it like before? 2) The church at the junction of Chancery Lane; opposite the Novena. YG and I were debating about its name. YG is right. It is the Seventh Day Adventis Hospital. I found this picture at the National Archives collection. 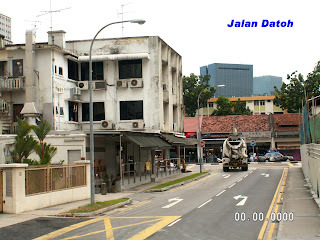 3) I remember the block of low rise appartments near the junction of Jalan Novena because my friends and I went there to sell Fun-O-Rama tickets in 1968. It is still there I believe. 5) Next to Toa Payoh Flyover is another prominent landmark called the Chequers Hotel. It is now the Europa Country Club Resort. So I am starting this thread hoping that more readers will fill in these and other blanks for me. By the way, I have a spare copy of the National Heritage Board publication; Balestier - A Heritage Trail. Anybody want. Email me with you mailing address. First come first served. In my previous post, I showed you a newspaper advertisement from 1968. I discovered three interesting pieces of information at the back. The first is an advertisement about a piano concert at the Victoria Theatre. Notice that the concert was presented by the Singapore Musical Society. I don’t think this society exists today. Anyone know what it is called today? Notice also the venue for the sale of tickets – Robinson, Cold Storage and C. K. Tang's. All three are Singapore icons in the Orchard Road area which are still thriving today. The second item in the news clipping is a cinema advertisement. (By the way, please don’t be misled by that gory movie title. I think it is a direct translation of a Chinese idiom about patriotism and defense of one’s homeland.) Notice that all the four theatres listed are no longer around. 1) Metropole (presumably) was located in the Tanjong Pagar area. Today it has been turned into a church. You can read more at Bullockcartwater’s blog. 2) Venus was located in Queenstown. This theatre has also been converted into a church. I blogged about it here. 3) Marlborough. I don’t know much about this one. I think it was located in Beach Road and was demolished long ago. 4) Hollywood was located at the Tanjong Katong – Joo Chiat area. I have not been to this area for a long time. I think it is now a shopping centre. I remember seeing two movies here. She was very famous in Japan. Very good singer. I loved her Chinese version of one Japanese song 祈祷. Anyway, it’s another one of those popular Taiwanese movies of the 70's (but this one not so mushy). It’s about a teacher who wanted to dedicate her life to teaching disadvantaged kids (orphans, I think). There was one unforgettable scene. There was a man, her headmaster I think, who wrote a Chinese idiom on the blackboard. As you know, many English-educated Singaporeans of my generation … our Chinese all half-past-six. So as the guy wrote the Chinese characters, the audience started to read them, one by one. Suddenly there was silence. Do you know why? Because he came to one quite difficult word which most of us didn’t know how to pronounce. Everyone so malu and dared not read anymore. (2) 刘三姐 This was a very popular movie from China. Broke some box office records if I am not mistaken. The story is typical communist-stereotype. Rich oppressive merchant exploits peasants; peasants revolt blah blah blah. But what the audience loved was the music (山歌) and the beautiful scenery. For a long time, the radio stations bombarded us incessantly with songs from this movie. I think you can get the dvd/vcd for a few dollars. 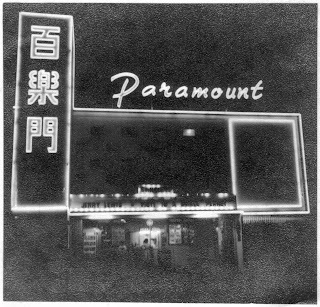 Talking about old movie theatres, do you remember the Paramount Theatre in Serangoon Gardens? This place holds precious childhood memories for me and my siblings which I blogged about here and here? I heard that the building that used to house this theatre is going to be demolished next year. What can I say? Yet another bites the dust. Thanks to Peter Chan for this rare 1962 photo of the Paramount Theatre. The third item in the news clipping is about army training. As usual, anything about the army brings back lots of memories. So I shall leave this one for the next time. Freehold terrace houses in Bukit Timah District 10 going for only $28,000!!! No, there is no typo error. Neither am I lying. However, if you want to grab one of these you really have to rush. 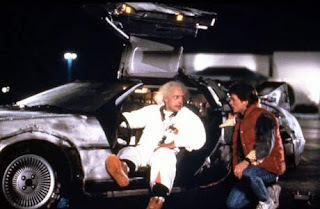 In fact you need to hop into a really fast car like this DeLorean from the movie Back to the Future. Recently I met a retired neighbour during my regular evening brisk walking exercises. We walked past the stretch of open ground near Methodist Girls' School which I blogged about and I asked him if he remembered what this place was like before. Then I told him about Good Morning Yesterday and he told me that he still had a copy of the original advertisement and product brochure of Lucky Park; the estate where we are staying in. Looking through the ad and the brochure, I learned a couple of interesting facts. Lucky Park, was originally meant to be part of Anamalai Avenue which, as you can see from the map below was meant to run parallel to Sixth Avenue. Comparing that with a present day map, you can see that there has been a change of plans. 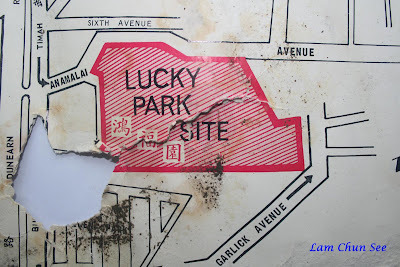 Today, the name Lucky Park is seldom used and several roads have been built in this estate. Interestingly, all these roads bear names of plants beginning with the letter L; for example, Lily Avenue, Lemon Ave, Lotus Ave, Lantana Ave and so on. Scan of Lucky Park product brochure. Sorry it's torn. When STC was placed under receivership, we heard from the grapevine there were many things that could be salvaged for free. So my cousin and I quickly made our way to the Mackenzie Road office, which is now the secondhand car dealer mart to ask for a specific memorabilia, the Isuzu or Nissan bus. Were you thinking that we were planning to steal the bus? We saw people taking away company letter-heads and envelopes, ticket-punchers, uniforms, bus destination screens, badges, conductor journey waybills, unused bus tickets, photos, etc. The STC employees were clearly not interested to keep anything and we sensed they lost all confidence working for the company. For many, it was the only company they had worked for in their entire career. Some 800 workers lost their jobs. I had my first ride in an air-conditioned bus in 1962. It was the Singapore Traction Company (STC) using the Japanese Isuzu bus. STC used a single-deck, one door and one emergency exit Isuzu bus. Although it was a short ride from Collyer Quay to the Victoria Memorial Hall; for 10 cents it was sheer ecstasy because it was the first air-conditioned bus in Singapore albeit for not more than a year. More Isuzu were later introduced such as the non-A/C version single deck, dual door and one emergency exit version. These newer STC buses were far better in terms of cleanliness than the Chinese bus companies. You could tell by one look at the stainless steel riveted floors and the passenger seats. The Chinese bus companies still stuck to the non-A/C Albion Victors, Leylands and Dennis Falcon buses. My next similar bus ride was during the 1968 December school holidays. My cousin and I took a Service 12 travelling from Airport Road to Bras Basah Road, getting off in front of the Raffles Hotel. 1970 was the very last time on STC Service 18A from Serangoon Gardens Circus to Finlayson Green. Both occasions were a different kind of experience from the one in 1962. By this time the Isuzu buses were replaced by the Nissan buses and were no longer A/C. The Isuzu and Nissan buses were the first Japanese rear-engine air-cooled models on Singapore roads. Due to frequent break-downs the A/C buses was withdrawn and replaced by non-A/C buses. When break-downs occur the bus driver took out one of the passenger seats and placed it at the rear of the bus to alert other traffic users. So that was the reason why I rode in a non-A/C bus although it was Japanese-made. If passengers could not find a window seat, the best option was to stand just below the ceiling ventilation ducts. That way when the buses speed, fresh air could come in. Unlike their “poor cousins” like the old Albion Victors, these Japanese-made buses were environmentally-friendly; one never smelled the gasoline or inhale the exhaust fumes. Fig 4: “Second Shot” of the same place but different time. 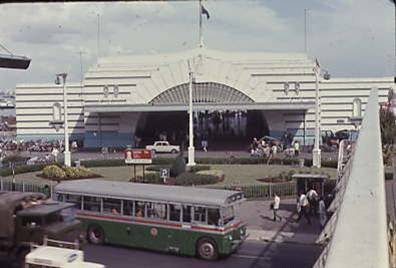 Left Photo; Isuzu bus parked inside the Mackenzie Road Depot (circa 1965). Right Photo; The former STC depot is now a public car park (2008). Today I can hardly find any non A/C SBSTransit buses, maybe perhaps on a Loop Service. Better still, we have plenty of SBSTransit single-deckers and double-deckers to choose. It is strange how our brain tends to associate certain objects or names with places and events. Every time I hear the word Isuzu bus, I think of those that were parked at the bus terminus (in the old days we don’t have bus interchanges) at Prince Edward Road just opposite the Singapore Polytechnic Campus. In the early seventies, when I was studying there, we can hear these Isuzu buses noisily warming up their engines like forever in the morning. So loud was the din that even from across the road, we found it a great nuisance. And then there is the Green Bus. That name immediately brings to my mind Bus no. 175 which we used to take to return to Safti on Sunday nights from Beauty World. In 1969 and 1970, when I was studying at National Junior College in Linden Drive, I used to take the Green Bus. This is a photo somebody sent to me. I don’t know where he got it from. I suspect it is from the Memories of Singapore website but I couldn’t find it there. Anyway, I believe that green colour bus is a STC bus. Am I right Peter? Recently I did a spring-cleaning exercise and found torn and tattered pieces of an academic assignment dating back to 1971. Ms. Phua Soh Hoon, our Economics teacher gave the class a written assignment for the end-of-year school holidays and it had to be submitted on the first day of school the following year. Adam Smith’s concept of the "invisible hand" - to refer to the ability of the market to correct for seemingly disastrous situations with no intervention on the part of government – was seemingly theoretical and difficult to comprehend until we found the Singapore Traction Company (STC). That assignment brings me back to an unforgettable Monday morning of December 6, 1971. A day earlier, the “Sunday Times” front page headlines screamed “No STC buses on the roads today”. It would be a strange Monday morning. Instead of seeing a Green Bus Company #1, it was #170; #1 was replaced by #170. I saw more changes as more buses rolled into the bus bay. A Green Bus Company #2 was #172 and #171 for #4. Once in a while, I saw that familiar STC Albion bus travelling up to Bukit Panjang with its STC logo and corporate stripes on its green and silver body intact. More students than adults were waiting for buses each day. The bus conductor - each bus was a 2-man operation comprising a driver and a bus conductor - raised his voice to pacify confused passengers who were angry or frantically waving at every passing bus. Those who had read “Sunday Times” would have gotten news about what was to happen on the next day but for many, the public had no idea. There were no early public announcements by the authorities. Only the presence of the white safari suite bus inspectors at the bus-stops helped to calm the situation. As I lived in the Buki Panjang area, I had to get off at the Rex Cinema bus-stop which was the informal “interchange”1, 30 meters from the junction of Serangoon Road and the Bukit Timah Canal. This was an important place where Tay Koh Yat (#2, #3, #6 & #14A), Green Bus (#1, #2, #3, #4 and #5) and STC (#6) bus routes converged. With so many different and new service numbers, the crowd comprising adults and students swelled. The buses snaked to a halt at the bus-stop with congestion tailing back to Kampung Java Road. Another change was STC bus conductors and drivers (Indians, Bengalis, Malays and English-educated Chinese were its primary employees) did not wear their regular khaki-colored uniforms and breast-pinned company badges. Instead they wore civilian white shirts and dark trousers. However they continued issuing the old STC tickets until many months later before switching to those issued by the 3 Chinese bus companies; “ABC Ltd, ABS Ltd and UBC Ltd”. On Dec 16 1971, STC was placed under receivership and as a consequence, 407 of its fleet of buses were sold to the other 3 bus companies. In FY’71, STC recorded a $9 million loss which first began in FY’65 with a small loss of $0.764 million. 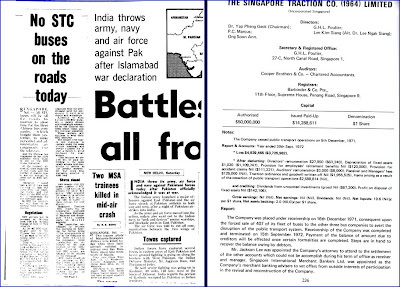 From 1965 to 1971, the only thing consistent of STC was its losses; each year became far worse than the previous year. In fact the company could have collapsed even earlier in 1967 but it was not in the shareholders’ interest to opt for voluntary liquidation. December 6 was “Black Monday” for STC shareholders too. The counter was suspended on the Singapore Stock Exchange until its liquidation in 1973, by which time STC shares became zero value. I heard stories of many disgruntled shareholders who burnt their share certificates and laid the blame at almost everybody; the government, stock exchange and STC management. After STC, we did not live long with the 3 Chinese bus companies because Singapore Bus Services (fore-runner of SBSTransit) was created in 1973 and culminating two years later with the “Restricted Zone” scheme. So I safely conclude that Adam Smith’s concept of the “invisible hand” cannot work in Singapore. I just received an email from Roger Hatchy. His email answers half a question, but raises another huge one. You have certainly started something. I was with 12 Regiment, known as Hatchy, Roger-Hatchy, on the regimental site. I am also a member of servicepals.com. I posted a photo of what I thought was the gun site that seems to have started a worldwide head-scratching contest. If you look on the Royal Air Force Regiment Association website you will find to the left "Photos" with dates, the start photo is in the 1960-1970 album on page 3. I have a few photos left from around 1963-1966. Lost most of the best ones. To my shame I was asked a few years ago to send them to someone. Peter’s name sounds familiar, I lost the email address. When the Regiment first moved to Singapore I was with a gun detachment, but have no memories of its location. I then joined the Radar detachment, at the time we overlooked a cemetery and had to access the site past the cemetery. We them move the Radar to a hill to, if memory serves me, to the west /north west of airbase. I can remember a gentleman trader that used to come around the sites on a bicycle trading soft drinks and snacks. How on earth he managed to get up to us on the second site amazed us all, 4x4 and 6x6 used to struggle, and the radar had to have two scammel wrecker to get it up there. I will be posting some more photos to the regimental site soon. If you click on any of the photos already posted you will get access to all the photo I have uploaded to the share site. Thanks for starting this, and thanks for a wonderful time while we were there. Thanks to Roger, we now know that one of the two soldiers in Peter’s original Chestnut Drive photo is Archie Cairney of 63 Squadron RAF Regiment. But where was this photo taken? The photo in my friend's blog was definitely in Chestnut Drive - I have a couple more and they are from Chestnut Drive area. I lived there for 25 years as a child. I had to wait until 2005 before I got hold of the photos from a friend in England. That AA unit was from the RAF but billeted in Tengah. RAF LAD 65 or 66 off my head. But according to our British ‘lau pengs’ (that’s local lingo for old soldiers), it is near to Tengah. 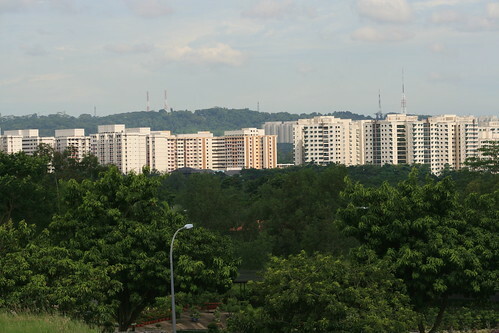 According to Ken’s description, it was off Choa Chu Kang, to the right, through a kampong, and up a steep hill with no proper road; and it had a commanding view of Tengah air base and the runway. Should I trust the old soldiers’ memories of events 45 year ago or the 11-year old kid? Could it be that the soldiers that 11-year old Peter saw at Chestnut Drive was a totally different detachment? Aaarh … this mystery is driving me (chest) nuts! I think this is the best time to call in the Second Shot detective, aka Icemoon. Anyway, I would like to put up my own theory .. which of course needs further investigation. I think Peter’s photo is in the Chestnut Drive area because if you look closely, there are a couple of red-tiled buildings on the right. When I checked the 1963 street directory, Chestnut Drive was already a developed area and Chestnut Drive was a proper metalled Road. On the other hand the Choa Chu Kang area described by Ken Nichols was a kampong area without proper road. So how can there be red-tiled houses like those of Serangoon Gardens (in Hokkien it is called Ang Sar Lee or red roof). My own guess is that the site our British friends referred to as H Sub was around the Jalan Lekar/Jalan Semangka area. According to my 1963 street directory, Jalan Lekar was just a small track of the main road which was probably a kampong then, and thus fitted Ken’s description. In fact even in my 1981 street directory, Jalan Lekar and Jalan Semangka were dirt tracks. Ken also mentioned a nearby cemetery. I think that is still there today at Track 14 I have been to the nursery called Woon Leng at the upper end of Jalan Lekar and from there you can see the nearby hill where Farmart is located today. If time permits, I would go there this weekend and do a bit of recce to check out my theory. Thank you for responding to my post, and to answer your question,…I found the link to “Good Morning Yesterday” here and I immediately became interested in Bukit Timah Heritage Trail - Gun Battery at Chestnut Drive because I am one of those British soldiers who served on one of those guns and I still have some very happy memories of those days in Singapore in the 1960s. 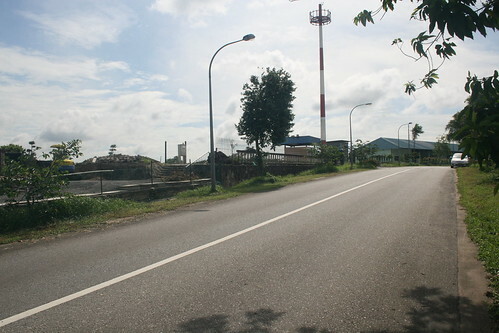 To reach the site that I remember, you would need to follow a track leading off that main road which wound its way through a kampong and then you would negotiate a steep hill which was very difficult for the trucks to ascend until several truck loads of course gravel could be laid down. Once at the top of the hill the site had such a commanding view of RAF Tengah and the runway that I can remember actually tracking larger aircraft such as the American B52 and a British Vulcan bomber which visited Tengah about 1965 as they trundled down the runway during take-offs and landings. Ken also remembers speaking to young kampong boys who came up to him. 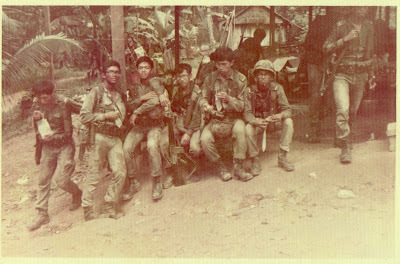 I wonder if he ever imagined that not much later, these boys would take over their role in defending Singapore. At the same time, there is a discussion going on at this forum. One interesting question been discussed, with Peter actively participating is the location of this photo posted by Roger-Hatchy which I have downloaded below for your reference. I hope some of our readers here can recognize this place and help us to confirm where exactly it is. You do realize of course that this photo is 45 years old! 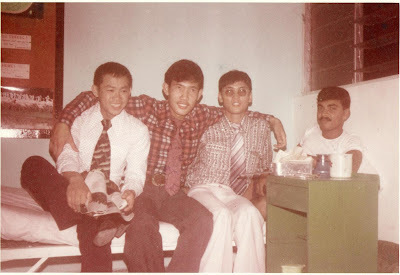 “I would just like to say how much I enjoyed reading your blog and bringing back happy memories of my days in Singapore and its wonderful people, they were perhaps the best days of my life, a thought which is shared by many of my friends as every year we hold a Singapore Reunion to chat about the ‘Good old days’. Perhaps you may like to view my own website. Thanks Fred. I have visited your site and noticed that the photo of the kampong with pigs roaming about which I used in my previous article is in your photo gallery. I hope I have not inadvertently infringed on your copyrights. I did get permission from Tom O’brien to use images from his wonderful website Memories of Singapore for my blog. Anyway, as Singaporeans, we feel honoured that our British friends have such strong and endearing memories of our little country after so many years. We thank you guys for your service in protecting this country, a role that we took over and have since passed on to our children.